Situated between Bend and Sunriver, the Lava River Cave is a unique geological phenomenon that you can explore firsthand. Read on below to learn more about this extraordinary sightseeing destination and what to know before you go! Part of the Newberry National Volcanic Monument, the Lava River Cave Bend OR is one of the most iconic examples of a lava tube. It is located twelve miles south of Bend, along Highway 97. While it was first officially discovered in 1889 by a pioneer hunter, obsidian flakes found at the site indicate that Native American tribes have known about the site far longer than its official discovery date would indicate. The Lava River Cave Oregon is believed to have been formed 80,000 years ago during an eruption, possibly from nearby Mokst Butte to the southeast of the cave’s entrance, with the downhill lava flow from the vent creating the cave when it melded with the Deschutes River. The environment around the Lava River Cave is replete with enormous ponderosa pines, Manzanita, sagebrush, bitterbrush, chokecherries, and snowbrush, as well as squaw current, Oregon grape, willow trees, and serviceberries. Local wildlife such as western gray squirrels, golden-mantled ground squirrels, chipmunks, pine martens, mule deer, porcupines, and weasels can also be spotted. Birders should keep an eye out for robins, juncos, wrens, thrushes, sapsuckers, red-tailed hawks, great horned howls, and more. The inside of the cave is said to house bats and mice year-round, though the bat population is small, nocturnal, and often hibernates until July of each year. Depending on the time of year that you decide to visit Lava River Cave Bend, the temperature of the mouth of the cave can range from thirty-two to forty-five degrees, while the interior of the cave is a consistent forty-two degrees. When visiting, you will need to dress warmly and either bring a plastic, battery-powered lantern or rent a lantern from the visitor center near the cave entrance. Inside of the cave, visitors can embark on a journey to see sights like Low Bridge Lane, the Sand Garden, and Echo Hall, a fifty-eight foot by fifty-foot chamber that features smooth and symmetrical walls that create acoustic echoes. 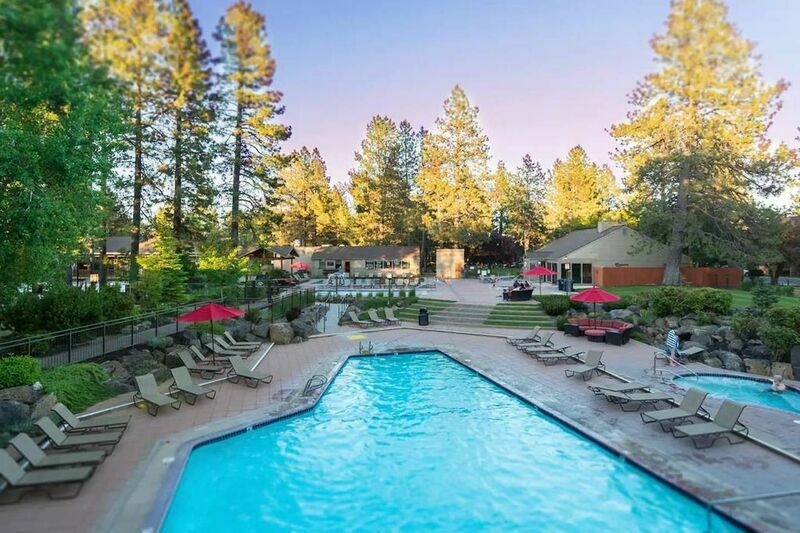 For more specifics on the Lava River Cave Oregon and other cool places to check out during your time in Bend, contact our reservations team and book your lodgings in one of our awesome vacation rental properties today!